FREE SIGNALS ARE NOT AVAILABLE ANYMORE! Join the SafestForex project if you want to start earning money with Forex Trading. You can start it if you are new in Forex, or if you want to recover your earlier losses. Click on the logo! I’ll share the trades on DailyProfit4Life every day, but I’ll not send warnings about it! So, you will find the new trades on the site every day. This will not change. This is my offer to all beginers, who want to learn and make money with forex trading. As I wrote many times, I don’t think that I’m a the biggest expert of forex trading, but I know that I can make profit with it day by day and I can help you to do the same. And why not? It didn’t cost a thing. 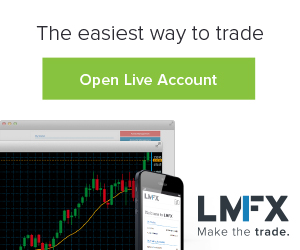 I have an offer for you if you want to earn money with forex as a rookie. Register a broker account through one of the brokers below. Create a STANDARD account with min. $100 fund – better if you can start with $500 or more – and fill the form below. I’ll contact you and will show you how to use the trading area, how to use my posts about the trades. I also will send you the links about the posts you have to read before you start to trade. I ask everyone to submit your questions in a comment after each post, because it can help to others who too shy to ask. Maybe someone thinks that his/her question is stupid. Never think that! You have to trade on your account every week. If you will not use my signals on your new account, I’ll cancel your subscription. I ask you to share a post about your trades on my Facebook page, and if you have Twitter, Google please share a post with #dailyprofit4life. The more active members on social network will able to win gifts every week. You have to send stats weekly in e-mail if you don’t want to share your trades in social network (it’s enough if you share a printscreen about some of your winning trades if you don’t want to share all of yours). I’ll submit a printscreen about it on social network.